I'll be on the Ed Norris Show tomorrow the 6th of February at 11 am. Tune in to 105.7 WHFS. Call and talk 410-481-1057. I’ll be on the Ed Norris Show tomorrow the 6th of February at 11 am. Tune in to 105.7 WHFS. Call and talk 410-481-1057. 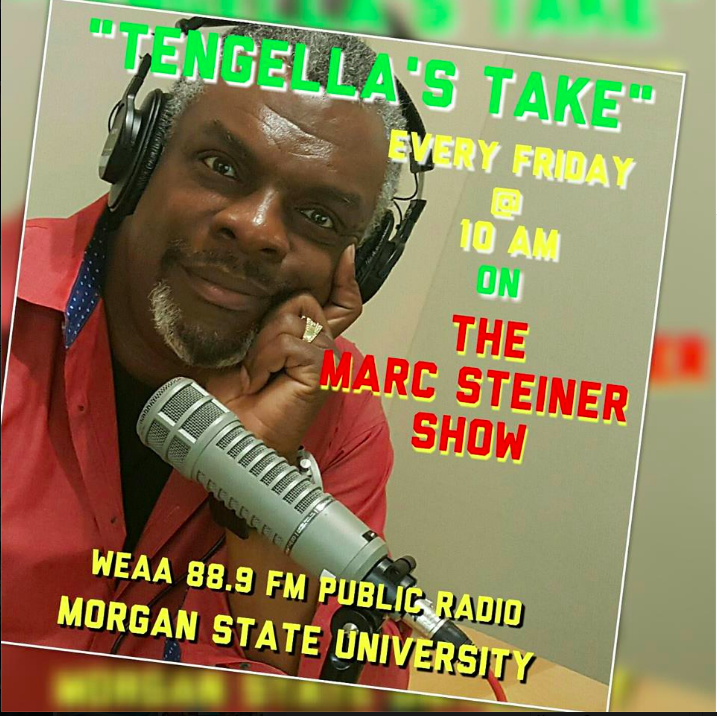 How interesting that a link to your blog existed on the Maryland Morning website earlier today–Sheilah even referenced it in her interview. But now, that link has been taken down. Shame on WYPR. This is CENSORSHIP OF YOUR OWN STAFF. DISGUSTING. Brandon, Bienstock, and Leslie did not discuss the Steiner Show. Discussions among CAB members after the WYPR staff left the meetiing aren’t mentioned in the minutes. What is the point of posting minutes if discussions aren’t recorder? Hey, Marc and everyone – we had another great demo today – an increase to 25+ very outraged people who want to do whatever we need to do to get you back on the air. We are continuing all this week from 12-1pm in front of WYPR. Marc, we are getting organized! Please join us – anyone who is sick and tired of the corporatization of media (not to mention our lives) and wants to put a stop to it right here in Baltimore! What do you want to make a bet that Mr. Brandon took the link down because he didn’t like Marc’s comments this morning. Do you have information that resuming the position at WYPR is what Marc wants? I want to give props to BLUEHOUSE for choosing to remove their underwriting support from WYPR in light of this decision. And pressure other underwriters to do the same! Kudos to Bluehouse for above; unfortunately, their banner is still on the site, as is Rosina Gourmet. Gordon-Feinblatt, however, is no longer anywhere to be found, but unclear if that’s related or not. I was unable to find a list of corporate sponsors but it might be an idea to contact them about their sponsorship, given the lead of Bluehouse. On a smaller scale, Marc’s firing may be the most bone-headed organizational decision since New Coke. There are really only two possible outcomes: (1) the station goes under because ratings and pledge support now decline precipitously, or (2) the station finds a way to reverse course. Sadly, my money is on (1). Seems to me that now that we know the Board controls programming we need to have the board reflect the community…not just a bunch of rich county people…how do we do that? Just hearing about all of this for the first time right now. Truly saddened to see you leave WYPR. I listen every day, and will again, were you to move to another station. Best to you. I left Baltimore 4 years ago and have never been able to find a sensitive, intelligent, exciting local talk show like the Marc Steiner Show anywhere. I am terribly saddened to hear this news-what a huge loss for Baltimore. Will those of you who seem to wish to burn down WYPR remember that you are hurting innocent staffers and producers when you push the mindless boycotts! Marc’s very own radio producers still work there and they need jobs. Marc will tell you the Marc Steiner Show was not only about Marc. He had a team that helped him every day. The fundraising department from WYPR who were NOT involved in the decision do not deserve your angry impolite phone calls. Ask Marc if he thinks Debrah deserves this? Try to think about what your goals are and direct your energy that way. Can they bring him back? If not, than leave them alone. I am not defending Brandon or Bienstock in any way. Hold them responsible. Leave the kids alone!! They are real people. I’ve read that none of the staff at WYPR were given any warning about Marc’s dismissal and that morale is very low. I had actually given some thought about what withdrawing support from WYPR would mean to the other people who work there. Unfortunately, I _do_ think that the only message that Brandon and the board will respond to is one that hits them in the wallet; They’ve already demonstrated that it’s “their” station and they don’t care what their listeners want. I do agree, however, that all writings/phone calls of a venomous nature should be directed to the people responsible, not the staff. I respectfully disagree with your comment about directing writings and phone calls to the “people responsible.” In my opinion, if you are currently working for WYPR, you are also responsible for keeping alive a corporate machine that has alienated the people it says it is a voice of. My advice to innocent employees at WYPR: Get a thicker skin or quit in protest. Perhaps lowering an already low moral among the employees of WYPR will be the only way for listeners to truly put pressure on the powers that be over there. I do sympathize with the employees at the station, but sometimes you have to burn the house down in order to save it. We must keep in mind that public radio jobs are scarce in this town — or any town — and that WYPR staffers, who are generally underpaid and overworked, and for the most part very talented and hard-working, should not be punished for management’s decisions. You can make your feelings known, but please do so politely and respectfully. The same should be true during the upcoming pledge drive, as those answering the phones are volunteers who might well agree with you about Marc’s firing and do not deserve verbal abuse. Nate, I don’t think anyone should be rude or venomous, not even to Tony Brandon, who could certainly benefit from some lessons in civility. But I’m not ‘mindless’ because I choose to stop listening to and supporting wypr. The Marc Steiner show highlighted issues that didn’t get airtime on other shows, and it gave a voice to people who would otherwise be voiceless. It was my primary reason to listen and it’s meant a lot to me over the years. I’m not interested in a station that, to my mind, is catering to corporate interests and to it’s listeners in higher-income suburbs. That’s not what public radio means to me. I can listen to NPR and PRI programs on several stations, but I chose wypr because Marc Steiner’s show was local, pertinent, often outstanding and always entertaining. I don’t really have much reason to tune in anymore. While I agree with some of what Nate has to say, particularly about appropriate interactions with the staff who are taking these phone calls (the woman I spoke with on Monday was clearly distressed herself) I can’t say that I agree with all of it. – First of all, I agree more with Marc’s position about public radio than with Brandon’s. Public radio does have a service role to play in the community. This is what Marc’s show did, over and beyond anything else offered on WYPR in the last few years. I listened to Diane Rehm often, but it was the topic that was going to be discussed on the Steiner show that would get me to make phone calls to tell people to tune in. Marc truly did give voice to many of the otherwise voiceless, as many people have said. But, his show was also so much more than just that. – Secondly, if Mr. Brandon wants to focus on ratings, fine. But if Marc Steiner was such a negative drain on ratings, as he claimed, why was he always brought out at all times during fund drives? He brought in money, I suppose. And as I understand it, the fundraising for the station has increased despite the decrease in listenership, which is undoubtedly multifactorial. If Mr. Brandon wants to focus on ratings, fine and dandy. But many of us supported the station with our dollars, dollars which should and do substitute for ratings in the public radio world. Yes, corporate sponsors still make ‘advertising buys,’ and they do so on the basis of listenership. But unlike commercial radio, we listeners also get to vote with our dollars, too. And that’s what many of us are doing, expressing our displeasure in the only way now left to us: we’re taking our dollars elsewhere. It is unfortunate, truly, that the hard working people at the station are going to bear the brunt of this, if the budgets have to be reduced. And of course, the management certainly didn’t take them into account. I hope, for their sake, that something good comes of this situation for them. Again, I concur that when people contact the station, remember the people answering the phone are bearing the brunt of this. Bozzuto has apparently made herself completely unavailable since her appallingly condescending comments given to the Sun. And Brandon is also hiding behind a wall of protection. So, we will do what we can, and what many of us feel we must. And, frankly, for me that means withdrawing my financial support and my listenership. Just another letter of support here. After finding out about the dismissal I wrote a short, polite note to Mr. Brandon in protest, but also wanted to address my support to you, Mr. Steiner. I have been a listener of yours since your days at WJHU, and find your coverage of local issues including but not limited to Baltimore city to be completely lacking in any other electrontic media outlet public or private. In addition many of your past shows have been of a much more general interest, so much so that I purchased an “Mp3” player in large part so that I could download your show for listening at my convenience as I am much of the time not able to listen in real time. I wonder if a listener who listens to your show in this fashion is currently counted by the rating systems. It was especially disheartening to find all of these shows removed from the WYPR web site. I hope that they cam be made availably somewhere in the future. Also, people have asked for a list of sponsors to contact. Just think of the ones you’ve heard on the station, during the show and throughout the day, the local businesses. I think it wil be much more effective this way, rather than just sticking a signature onto a prewritten text. My thought is to ask them to call the station, and to tell them how much we appreciate their support, but how we need them now to help us pressure the station. This whole thing is about more than Marc the personality–we want his show back because of what it contributes, so it’s up to us to act independently. Readers might leave questions in these threads they would like the boards to be asked. I would like to ask the CAB (especially Rebecca Hoffberger) if they recommended getting rid of Marc. Call this CAB 1. I would also like to know if the CAB recommended specific replacements or types of programming to replace Marc. What is on air now is not measuring up. Call this CAB 2. From the BoD, I would like to know if they authorized Brandon to offer a $50,000 hush money payment, or the responsibility for this is Brandon’s alone. Call this BOD 1. I would also like to know about fundraising for 2004, 2005, 2006, and 2007 (listener contributions and corporate support). BOD 2. BOD 3: How did the Ocean City and Frederick-Hagerstown markets enter into the BOD decision about firing Marc? BOD 4: If the BOD wants to go in a new direction, what new direction do they want the station to take? BOD 5: How does the BOD justify hosting so much repetitive pap? BOD 7: How have WYPR ratings trend for the last 3 or 4 years compared to the national listenership trend for NPR? BOD 8: What are the ratings trends for all WYPR programs? Anyone else have other (and better) ideas? I withdrew my monthly pledge after hearing about this, not to punish the staff at WYPR (they are just trying to make a living too) but because Mr. Brandon’s comments about the corporate nature of the station led me to believe that he and the board have to be dealt with in a corporate manner. Yes, I wrote him a letter politely explaining why I think their decision was ridiculous, but I think the only way to make a strong statement with a corporate entity is to vote with your dollars. For public radio, “membership” should mean more than just “give us money so we can stay on air.” It symbolizes a trust between the station and the listening public, that they will honor our generosity by reflecting our listening needs and keeping their station above the pablum of commercial radio. My trust was violated and I believe that kind of action on their part deserves strong action on ours. I am relieved to hear some civility in the tone on this thread. But Eric Singer, It is idiotic to suggest that these kids quit their jobs in protest. Do you have any idea how much (little) these kids make? Do you know how few radio production jobs there are in this area? Its laughable to call it a “corporate machine”. They are in a large part responsible for what was ever good about Marc’s show. What do you even mean by “get a thicker skin”? Jeez. you must work in some ivory academic tower where tenure shields you from reality. Thanks Chris, you are 100% right. They are people who care about public radio. Thats why they work there. And Megan, I never said it was mindless to tune your radio to another station or to not donate, I was speaking to the folks who want the whole darn place shut down and the workers on the street. You are correct you should exercise your right to change the channel if you don’t like what is on the air, but hold the people who made the decision responsible if you are angry. Write Tony Brandon to say you don’t agree with his decision. Ask why the program director Andy Bienstock is barely on the record on the issue. Find out why the news came from the board rather than the program director if it was really about the ratings. But don’t hurt the people who care about public radio even more than you do. (I’m sorry if this is a repeat, I don’t know if this comment went through the first time). BOD 10: Does the board recognize the difference between the ratings for a show, and the impact or importance of that show? The significance of the show to the community might have been much greater than ratings indicated. Minor side observation: I don’t know what listenership the ratings reflect, but I note that sometimes it seemed to me that every cab driver in metro Baltimore listened to the Steiner Show. Are these listeners captured by the rating system? I’m not sure how much difference “respectfully expressing your displeasure” is going to make. If there isn’t a ruckus, they aren’t going to pay any attention. I’m not saying cars should be flipped, but some sit-ins, a lot of yelling, a dry-up of donations, and some John Waters-esque shenanigans might. Civility is good, don’t you agree Marc? I have been and will continue to volunteer at WYPR after some soul searching the last few difficult days. Why? Because I support public radio and have always liked WYPR and the great staff. They must be going through a very difficult time while still maintaining their professionalism. Yes, there’s some blockheads in management and the board that made the very unwise decision. Hopefully they will listen to the PUBLIC. All need to follow their heart. Before he moved, I frequently met Marc at Wyman Park walking our dogs and found him to be a wonderful and generous person. I will still support and listen to Marc wherever he goes. John Waters type shenanigans? What are these? But you are exactly right, just politely writing letters to Tony Brandon will not change anything, he is all about money. So going after the corporate underwriters is the key to this whole protest. Wal-Mart is not likely to be budged, they are part of the problem, but some of the others who now support Tony Brandon Radio (formerly WYPR) could be a factor. Anyone who is a customer of Rosina Gourmet could ask them to stop supporting Tony Brandon- he needs to resign so we can take back OUR Public Radio. Interesting to note that WTMD regularly says they are: “Presented as a public service by Towson University”. This is certainly not the case with Tony Brandon’s radio station. Marc Steiner hosted at talk at MICA 6 or 7 (?) months ago with John Waters, Ralph Nader, and Helen Thomas. That is EXTREMELY paraphrased. I believe there’s a podcast of the talk somewhere though, where someone can hear what he actually said, versus my rusty memory of it. I’d just like to reinforce the point that politely asking why things happened the way they did and telling Brandon that you disagree with his decision won’t make any difference at all. Brandon (and probably most of the rest of the Board of Directors) is obviously all about the money and unless they lose some, they won’t care. Take a look at who they are (http://www.wypr.org/BOD.html): almost all of them appear to be quite wealthy. Brandon and his gang fully expected trouble, but they figured it was worth it. They will only realize they made a mistake if they lose advertising revenue and if the pledge drives dry up. I’ve emailed Bluehouse to thank them for deciding to no longer advertise with WYPR and I’ve asked Rosina Gourmet to do the same. I will also never give that station money again. I regret that this may hurt the many good people that work there, but I’m left with no choice. What else would prove to the management that they made a horrible mistake? They need to lose money over this. Oh, and if it really starts to hurt them financially (to the point that people may lose jobs), there is nothing stopping management from making amends: apologize publicly for their behavior, fire Brandon and Bozzuto, pledge to always include the CAB and the greater community in future programming decisions, and ask Marc to return. I have started a petition at thepetitionsite.com, called Bring Marc Steiner back to WYPR. Also, I do hope everyone continues to email and call sponsors, any that you happen to hear on air. There is no official list, just contact as many as you can, especially small, local businesses who might actually care. This is not about boycotts, necessarily, but about urging them to help us pressure WYPR–they have a unique kind of clout. This can be done politely and while telling these businesses that we appreciate their underwriting. Brandon and his gang fully expected trouble, but they figured it was worth it, so that they could appeal to the rest of Maryland, at the expense of Baltimore City. They will only realize they made a mistake if they lose advertising revenue and if the pledge drives dry up. I’d like to know which ratings service WYPR subscribes to. They’re not in Arbitron’s Baltimore ratings. As a matter of fact, NONE of the NPR/College/nonprofit radio stations are listed. I’d always thought that Arbitron/Neilson didn’t list the noncommercial stations because they don’t need that data. Has “enhanced underwriting” changed any of this? Once again, if so, why isn’t WYPR listed with the other stations in Baltimore’s market? And how did Brandon use declining ratings data to support his decision to fire Marc, if WYPR isn’t even included in the survey? That might be an interesting line of questioning for the next board meeting. For almost no capital, you can set up an internet show with podcasts and even solicit fundraisers just as you did over the airwaves. Get yourself a webcam and a skype account (skype.com) and people will be able to call in for free. You can even do video for free with Skype. Your fundraisers can then be used to help with some of the wonderful street projects that you’ve championed instead of going back to people who think Corporate is the solution for everything. If you don’t have people you can ask to help you with this, email me. Though I like the idea of an internet show (without the webcam), it restricts the number of folks who can listen to it (at the moment). A lot of the poor or less-internet-savy would have no access to it which would greatly affect the impact of the program. Ten years from now? Different story. Unfortunately, Baltimore has a lot of problems that need to be talked about right now. I am writing as one of the sponsors of WYPR who has decided not to carry through with his Spring campaign over the Steiner situation. I posted a blog entry on the bluehouse weblog supporting Mr. Steiner and hailing his contribution to Baltimore’s daily discourse. I want to make clear that what I posted was my own private position before I knew any of the details of what had happened because I have been out of town. What I have learned in the past few days has convinced me that WYPR has created a PR disaster from which it will be difficult to recover. For that reason, as well, I’m glad I pulled my advertising at this time. This is not to say that I will never underwrite them again or that I want to be manipulated into any organized campaign for one thing or another. My personal position (and thus the position of my business) is to support Steiner at this time; if it were not, no amount of opposing email would have caused me to react in the way that I have. I’m just writing to thank everyone for their support. If everyone follows through on their promises to come and patronize my store for life, I will certainly be happy enough. I will continue to do what I, myself, think is right. However, I will not be conducting my business as if it is a tennis match between opposing forces . . . if I ever find I am in disagreement with you people or anyone else, I’m always open to debate, but I will not make business decisions because I’m afraid of a boycott if I’m standing up for what I believe in. Of course it changes the dynamic compared to the radio. But if the radio option is taken away, what is the next best way to get a message out? In eastern Europe before the collapse of the Soviet Union, when the gov’t controlled the media, people passed bootleg VCR tapes to encourage the underground debate. Not everyone could afford a VCR, but everyone knew someone who did. In the same way, while not everyone will have internet access or agility, if they care about the shows they know someone that could download it to a format that they could listen to: MP3, CD etc..
solicits for the projects he cares about, directly addresses the main schism here: membership support vs. corporate support. Wouldn’t it be something if instead of just seeing WYPR lose membership support evaporate, they saw it instead mobilized to Marc’s vision of what public discourse should be? That would be a News story worth reporting. As an example of a great show to kick off this campaign, wouldn’t it be great if Marc could use his connections to land a call in interview with Barak Obama before the Primary on Tues? Doesn’t anyone think that taking a voice like Marc’s off days before the primary is worth talking about. This would be a great place for Obama to talk about the problem of Corporate money influencing public speech and debate. Surely Marc, you have enough contacts in the Obama campaign that they can reach out for something like this. create… But I guess his vision of WYPR and the vision we all embraced left with him. If you have an idea for a slogan, or can make a better image, send it to me at “macroglossus at gmail dot com” and I’ll put it on the site.